Food is the original sales secret weapon. Think back to Eve tempting Adam with a bite of that sweet, delicious apple. Ever since that time, free food has helped close many sales. In third grade, I went door-to-door selling World’s Finest Chocolate chocolate-covered almonds. I bought the first box myself and offered each of my neighbors a free sample. Those melt in your mouth, dark chocolate-covered crunchy almond morsels are addictive. I sold the heck out of them. My prospects bought because they either loved them or felt guilty a kid gave them something for free. Either way I made the sale and was the top salesperson in my school. You know I am a big advocate of using free catering tastings to pick up new catering clients. Catering in a meal is used by all types of sales professionals to close business. Let’s examine a few niches to target. There are two sides to a real estate transaction. The listing agent readies the house to sell, lists it and puts a marketing plan into play. Often, they will let buyers' agents know about a new listing via an open house for agents with hopes the property will appeal to one of their clients. This allows them to showcase the house and ply them with some food and alcohol. When I owned my restaurant, we catered two distinct types of agent open houses. The first was the high-end luxury home. The second was hosted by a developer promoting a neighborhood they were building out. Some other salespeople in the real estate industry who cater in meals to get in front of large groups of referrals are title companies and mortgage brokers, who bring in breakfast or lunch for a real estate office’s sales meeting. You're probably familiar with pharmaceutical reps bringing in lunch to a doctor's office to snag a few minutes with a doc to detail their drug. There are other salespeople who target doctors for referrals and happily cater in lunch for an opportunity to pitch. Medical equipment, rehab clinic and physical therapy salespeople are examples of this. By the way, we created a handy guide for catering to pharm reps. Download our free eBook, Catering to Drug Dealers! Building supply salespeople who sell everything from granite countertops to windows target architecture and design firms to get their products specced in future projects. Mutual fund company sales reps will cater in lunch to a brokerage in exchange for some face-time with investment advisors and stock brokers with hopes they’ll pitch their family of investment products. 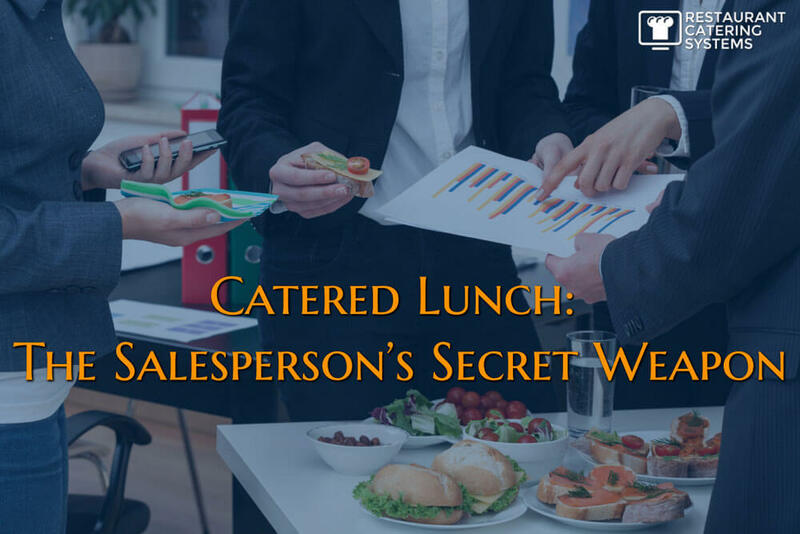 The market of salespeople who use and can benefit with the “lunch and learn” free catered meal is virtually limitless. You can work two sides of this profitable fence. You can contact these salespeople directly and pitch your corporate drop-off catering services. You will want to sell them on great food, convenient ordering, on-time delivery and professional setup. The other side of the fence is the companies that have lunch brought in regularly. Approach them about your catering service and encourage them to recommend you to the next salesperson wanting to cater in lunch. The wonderful thing about B2B catering sales is the vast amount of opportunities. 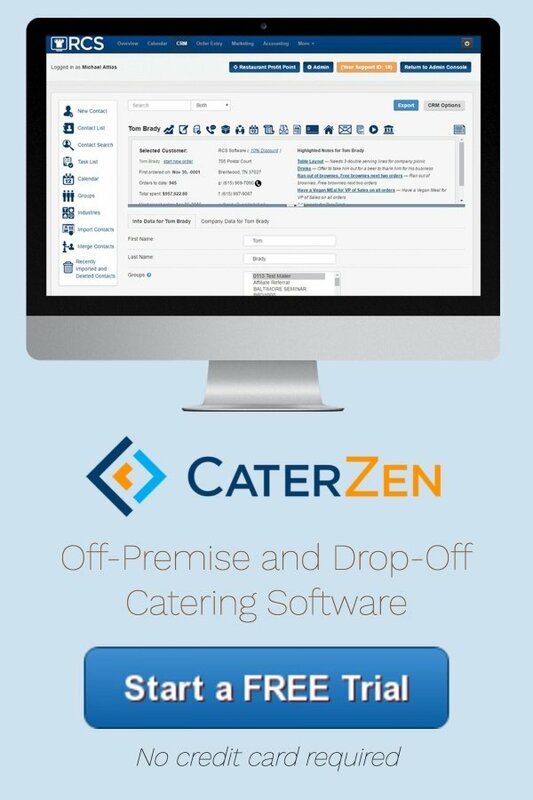 Your desire and time commitment to growing your catering sales are your major hurdles. Unlike dining room sales, you don’t have to sit around and wait for business to come to you! 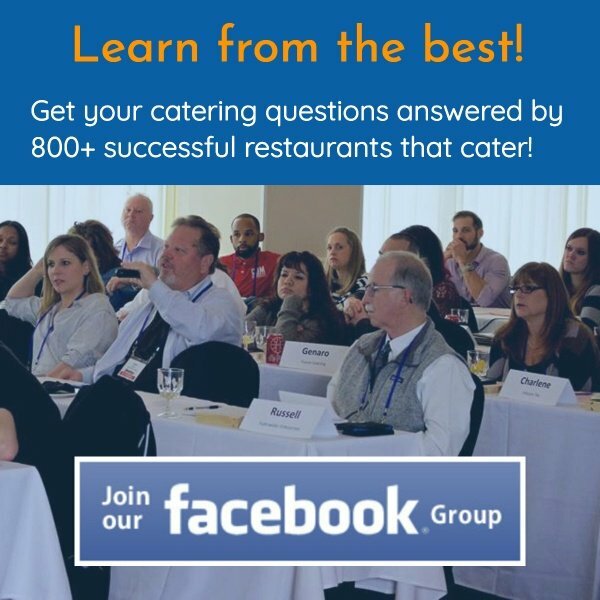 If you’d like to learn how to book sampling luncheons without cold calling, then make plans to attend my upcoming webinar entitled: How To Use A Sales Tempo To Skyrocket Your Catering Sales. To claim one of the 100 spots, please go to www.FreeCateringWebinar.com now.